It was a privilege to re-learn about Harriet Tubman as my first-grader pulled together a report on Harriet Tubman’s amazing escape from slavery and then to help free more than 300 people herself. What an inspirational woman! 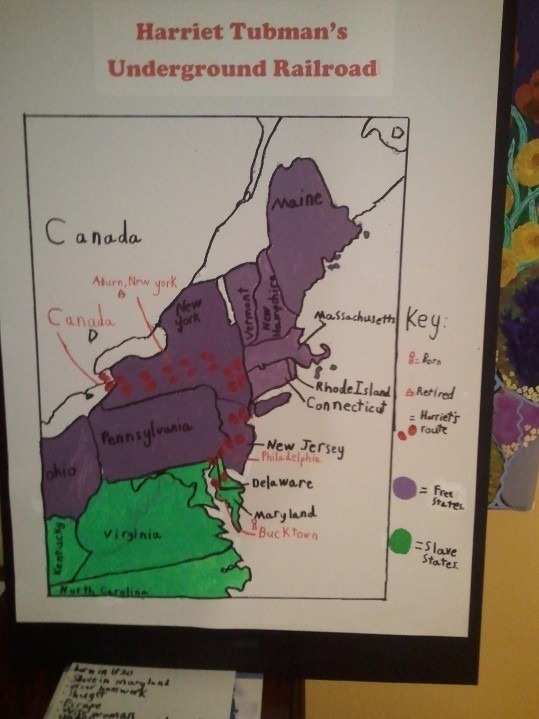 Here is the map my daughter put together for her presentation. We helped her print out the states and then she traced them onto a poster board. She presented her report today, and apparently “it went well.” That’s all we ever get out of her. ← Covered wagon or greenhouse?